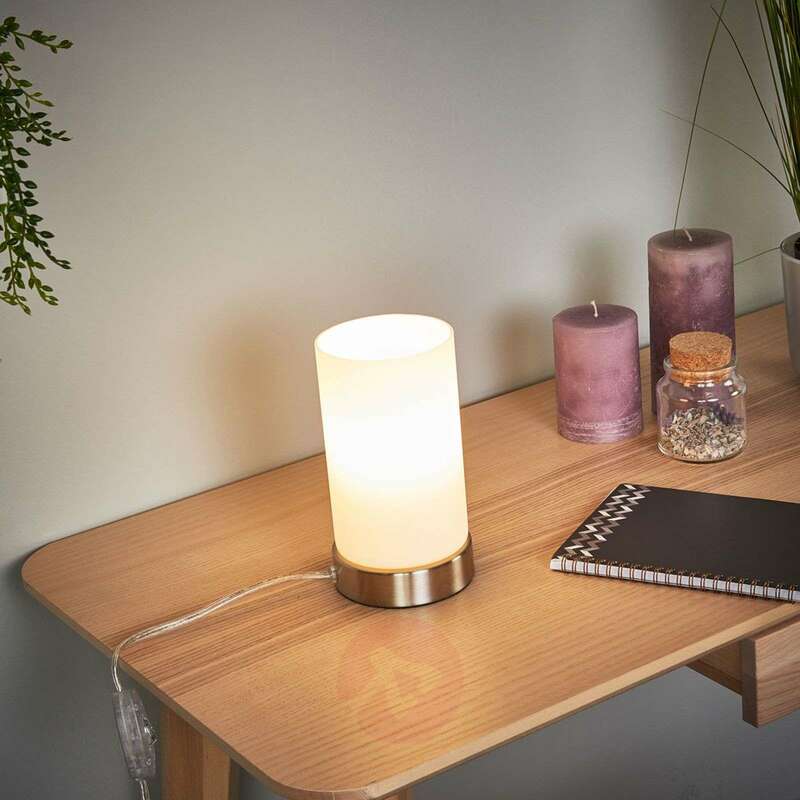 Compact table lamp with an unobtrusive appearance are light sources that can be integrated into almost any room. The Levka LED table lamp also falls into this category. 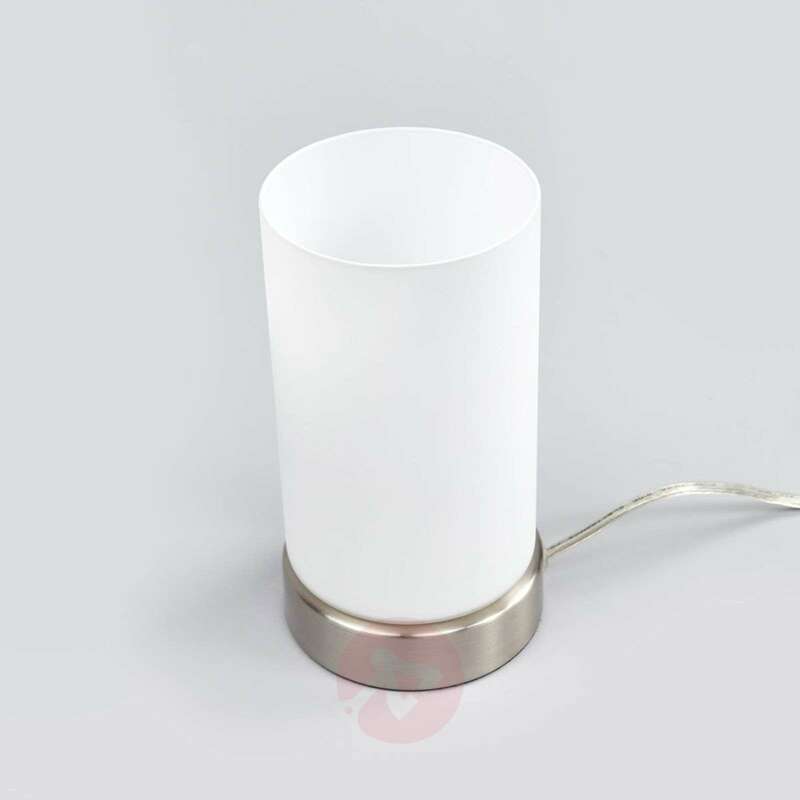 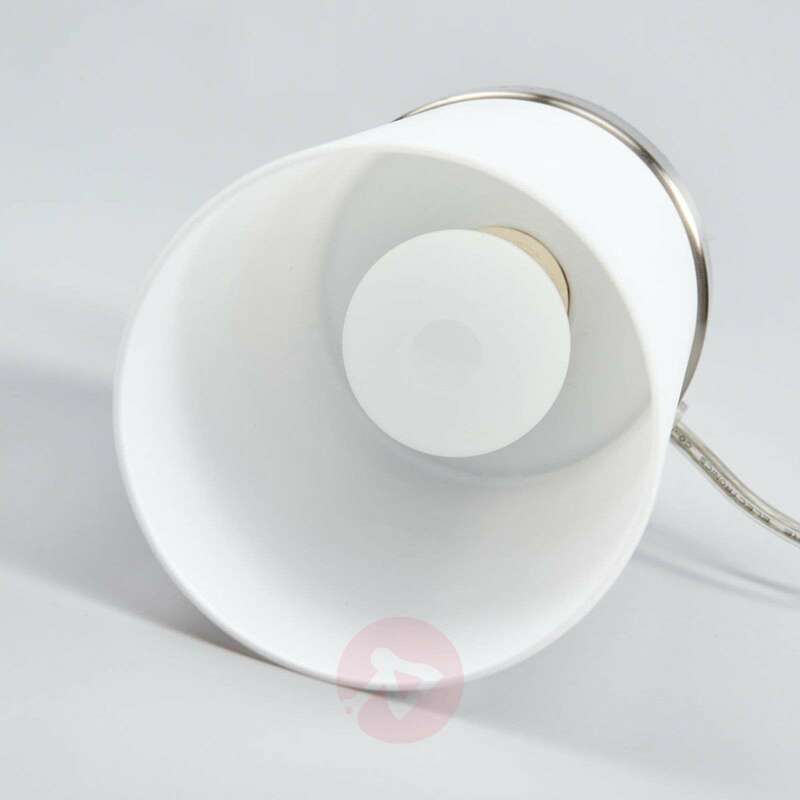 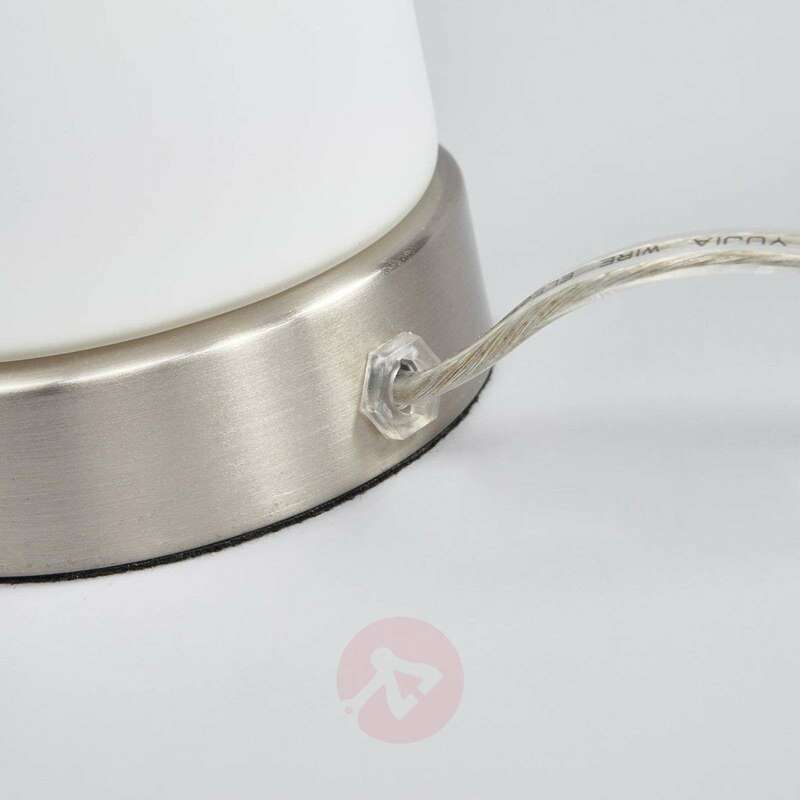 The lampshade, which forms the largest part of the lamp, is made from white glass, and the base is made from nickel-plated metal with a satin finish. 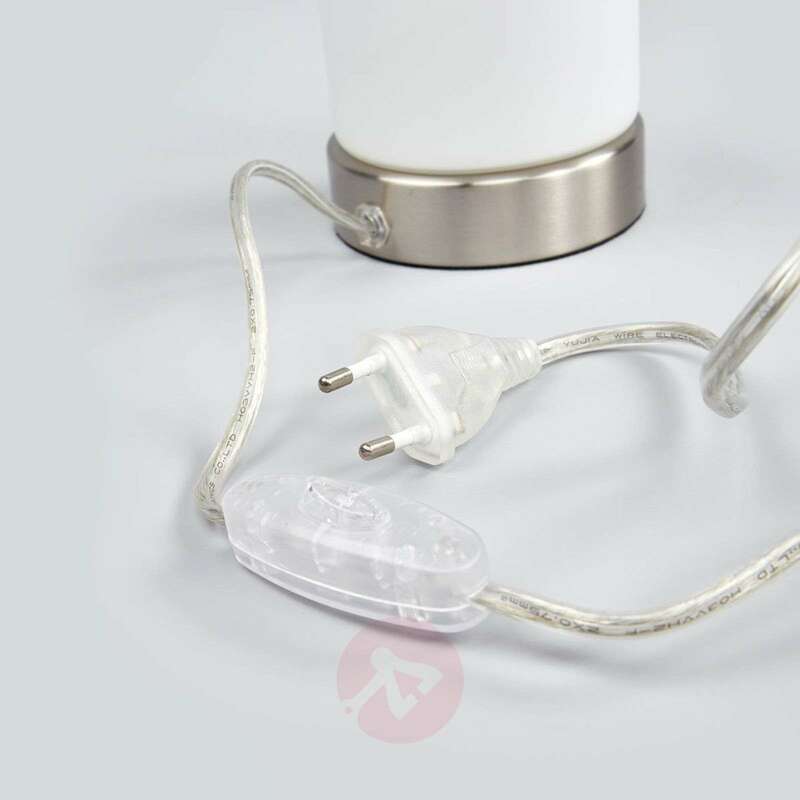 The table lamp comes with an LED bulb with an E14 screw-in base for low energy consumption values. 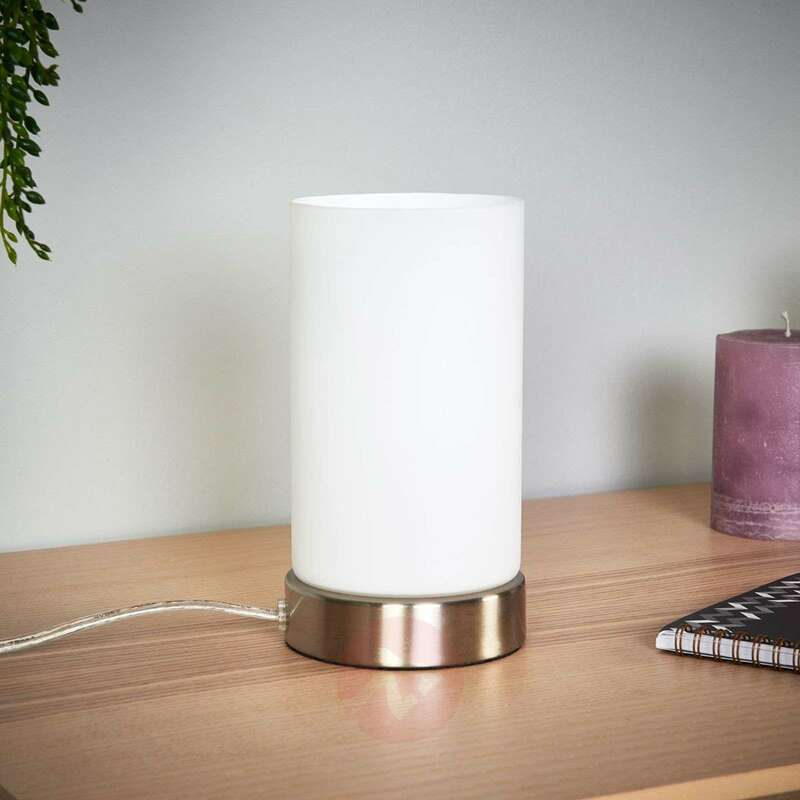 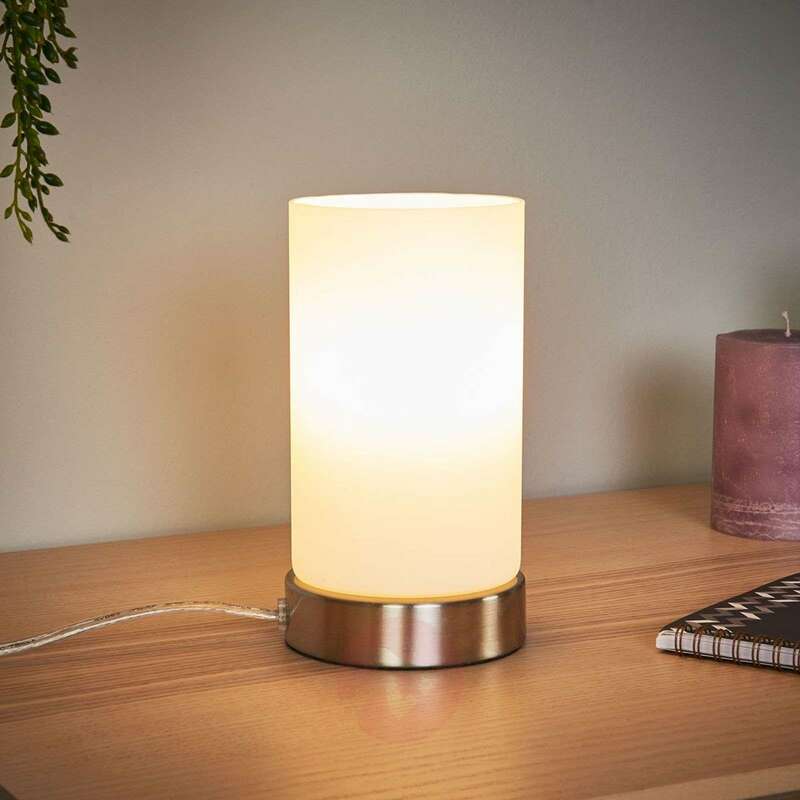 Levka makes a great bedside table lamp, but it can also be used on side tables and dressers in the home, where it will create cosy, accent lighting.